Nice animation move with something for the kids and the adult geeks. The whole idea behind the plot is quite good - a computer game villain gets tired of his job and wants to do something else in another game. Funny story. Unfortunately it gets a bit over the top with the parallel story from another game and somehow the two stories never really seem to connect. Maybe the second one should have been left out altogether? 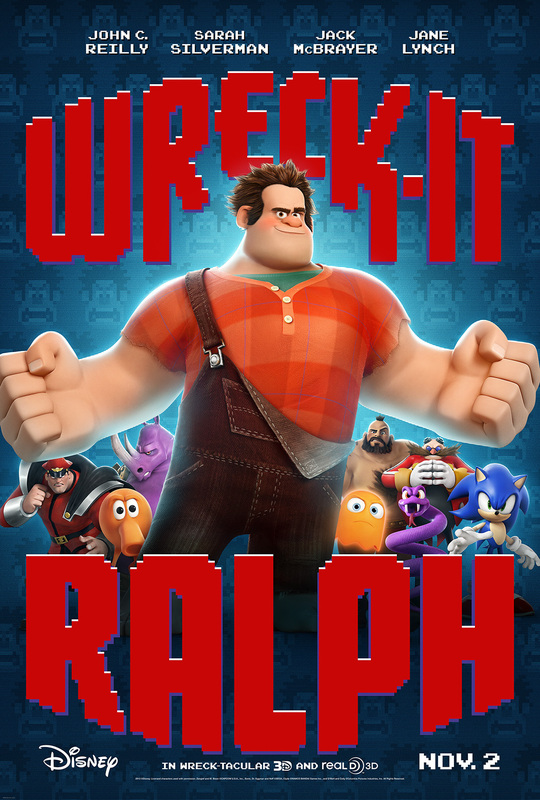 I was surprised when I saw that it was John C. Reily that was doing the voice for Ralph. He does a great job, I just did not recognize him. Beside the main plot, the movie visits some old arcade classics. This is quite amusing for old video game geeks like myself. Of course I would have wished there was more of it, but it is done quite good. Watch it with your kids and/or with old gamer geeks.